Happy Friday, y’all! For the next couple of months, we’ll be reposting some of our most popular past weddings that we’ve shared on the blog. The winter months are our off-season, but we will continue to share our fall 2017 weddings, as well as plenty of inspiration for our future Barn Brides! Whitney and Jimmy’s wedding from last fall was stunning, and if you missed it the first time around, now’s your chance to soak in all the beautiful details from one of our most popular weddings ever! Today's wedding was the perfect way to end our 2016 season! This was our first bohemian wedding that had a neutral color palette, and it was such a breath of fresh air! Boho weddings are usually more on the colorful side, but this couple chose ivory, taupe and shades of green. It was simple, timeless and stunning! Their photos look like a gorgeous styled shoot out of your favorite bridal magazine... This bride has impeccable taste, and every single detail was seriously perfect and SO beautiful! Just look at her flower crown!!! Stephanie Parsley Photography is one of our absolute favorite vendors EVER, because her photos are always dreamy and gorgeous! We were thrilled that Whitney and Jimmy chose her as their wedding photographer. Get ready for tons of eye candy! Whitney and Jimmy were married at The Barn at Twin Oaks Ranch on November 19, 2016. Their theme was bohemian, but they also wanted their wedding to have a timeless look. They chose a neutral color palette, with ivory, taupe and loads of greenery. "I always love boho weddings," Whitney said. "They are so romantic and perfectly match a barn setting. I knew I wanted my wedding to have boho style while also being something beautiful that I would look back on and still love. 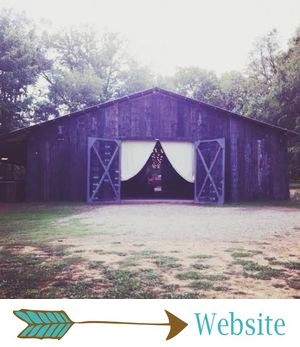 I chose to do a neutral color scheme because the setting of The Barn, the foliage, and the ceremony site are already so beautiful that I didn't want to take away from the beauty already there." Y'all, we have seriously never seen a more gorgeous bride than Whitney! I love everything about her wedding day look! The dress, the veil, the flower crown... It was all perfection. Her dress came from Low's Bridal and it was amazing. The lace was gorgeous, the sash was gorgeous, the skirt was gorgeous... Okay, basically it was the most swoon-worthy fairytale gown ever! Whitney's bridesmaids' dresses, which were from David's Bridal, were timeless and just lovely. I love the color, the length and how they all wore a different neckline! What a pretty group of gals! Jimmy wore a classic (and so very handsome) tuxedo with a bow tie. His groomsmen wore gray pants, white shirts, bow ties and suspenders... Always a winning look for the guys! As much as I adore bright, colorful bouquets, I can't help but LOVE the neutral florals Whitney chose! These will never go out of style! "I told The Barn I wanted all cream colored flowers," Whitney said. "I said 'kinda flowy, but not too messy.' They had greenery, cream colored flowers, and ribbons. I had a vague idea in my head of what I liked, but they were so much more beautiful than I could have imagined!" The first look was where things really started looking more like a styled shoot than a wedding (and I mean that in a good way... when your wedding looks like a styled shoot, you definitely did it right!). These two seriously look like models! These photos, y'all... so, so, SO pretty! Whitney and Jimmy's ceremony decor was a boho dream! Their aisle was lined with logs topped with cream colored flowers and greenery. And their altar was amazing! There were ivory and taupe streamers, which blew so beautifully in the breeze, and a greenery garland with beautiful flowers. Major boho vibes, but also timeless! "Jimmy and I met when we were in high school," Whitney said. "I went and saw his band play a show at a local music venue. He has always loved music and has played guitar since he was a kid. Instead of having a guestbook, we had a guest guitar. We also had a guitar instrumentalist playing during the ceremony. He played 'A Thousand Years' by Christina Perri when I walked down the aisle, and 'Here Comes The Sun' by The Beatles when we left. Another detail that was very special and specific to our wedding was my mom walking me down the aisle. My dad passed away when I was a child and my mom raised me, so instead of asking someone to step in, I had my mom give me away. My grandpa also officiated the wedding. We had a cord of three strands ceremony (or tried to, my grandpa forgot), but my mom built the board for it and Jimmy's dad hand painted the lettering." This next picture is everything!!! The altar! The dress! The veil (oh my goodness!)! The perfect kiss! Major heart eyes!!! The Barn always looks amazing in a neutral color palette! Whitney and Jimmy's reception tables were timeless, but with a few boho touches. And tons of elegant gold candles, per Whitney's request! One of the most fun details was the hanging floral display above their head table. Their cake table (or whiskey barrel, actually!) was also amazing. The greenery + that boho swag on the rustic wood doors... Such a good combination! "I think my favorite detail was the reception area," Whitney said. "All the gold and greenery and browns were just perfect to go with the rustic setting of The Barn. The cake table was so beautiful and I definitely didn't expect how beautiful it would be. I told the staff that I love candles and so there were plenty of candles. The whole reception area felt so romantic." Whitney and Jimmy celebrated their new marriage with their loved ones with an amazing dinner and lots of dancing! Oh, and PIE! "Our wedding was the weekend before Thanksgiving, so we felt obligated to have some pie," Whitney said. "So we had set up a pie table for our guests to enjoy some pre-Thanksgiving pie!" Pie = best wedding favor ever. At the end of the evening, Whitney and Jimmy left for Lake Tahoe for a romantic honeymoon! "We stayed at The Basecamp Hotel in The Great Indoors, which was just like camping in style," Whitney said. "Our room even had a tent you could zip up for snuggling. The scenery was beautiful, and we just spent time exploring, hiking and enjoying the beautiful snow! We had never been to California, but we loved it! It was definitely a cozy mountain vacation."